This post is dedicated to a dear friend that passed away this week. Norio Tsuruta was the finest relationship manager with whom I have ever worked. I met him at my first job in southern California while he was visiting from Japan. He made such an impact on me that we continued to work together through the next three companies and a span of seven years. Director Mitch has a fine tribute to him on his site. I think the most important lesson that Tsuruta san taught me (aside from Japanese business culture) was the importance of having fun while doing business. 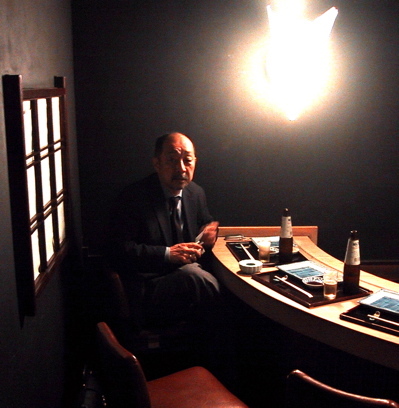 We frequently combined business meetings with drinking and dining events, and Tsuruta san always regaled the customers with stories that brought the house down and invariably sealed the deal. I thank him for his many years of friendship, and I hope that wherever he is right now they serve Jack Daniels and have Frank Sinatra or Elvis playing in the background.